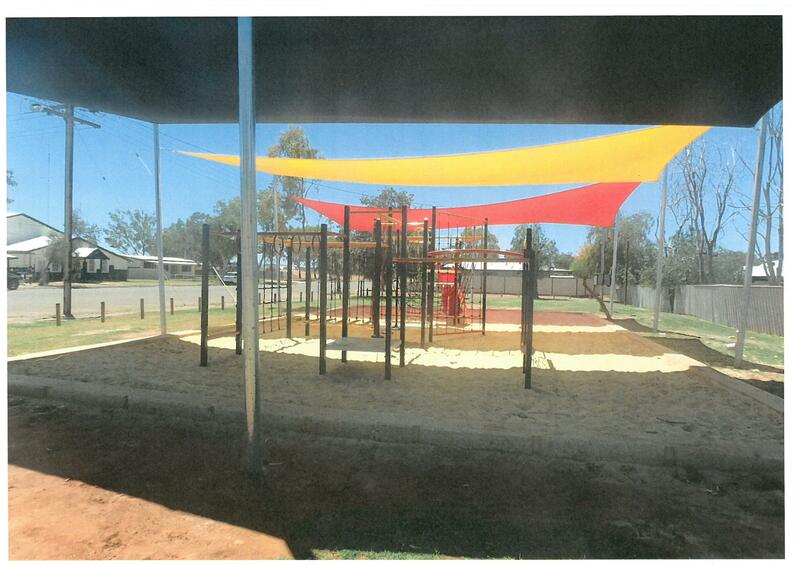 Supply & Installation of Senior playground equipment featuring challenging climbing and upper body strength components at Shamrock Park, Yalgoo. 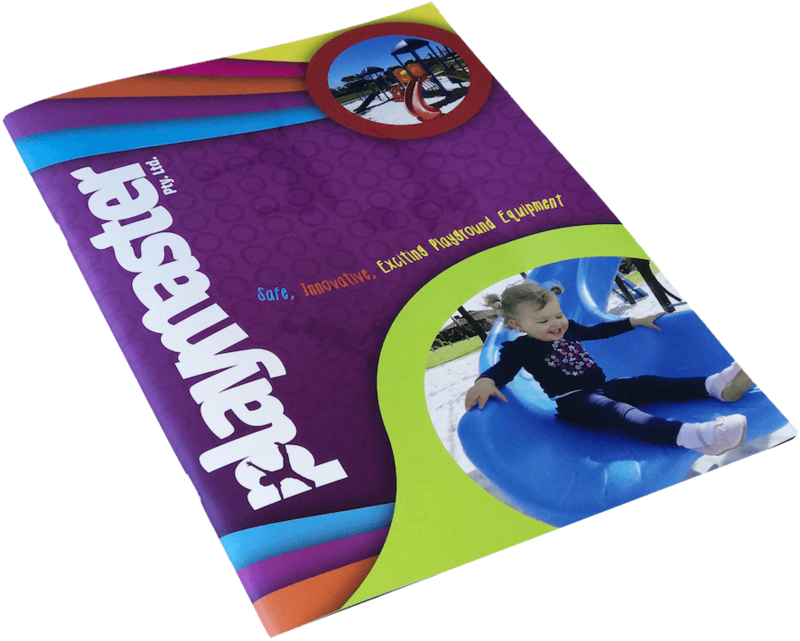 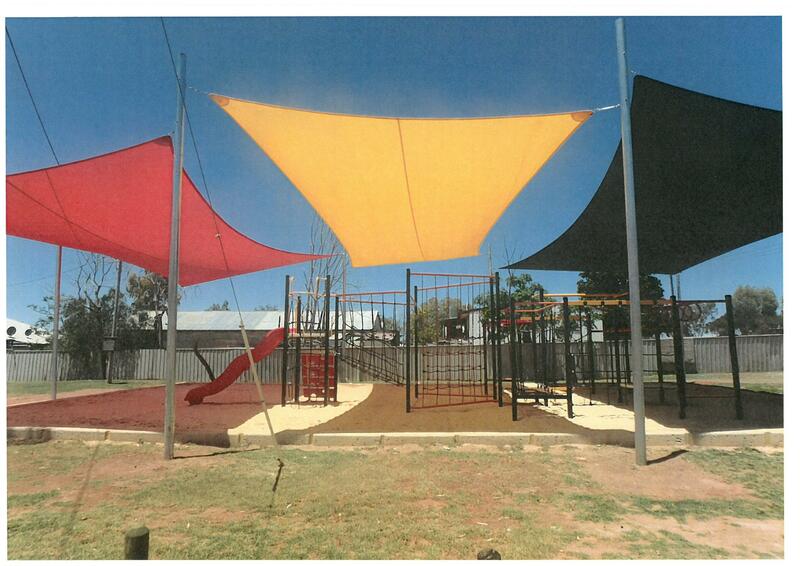 When the Yalgoo council asked Playmaster for something unique, our design team initiative was to powder coat this playground using Indigenous colours. 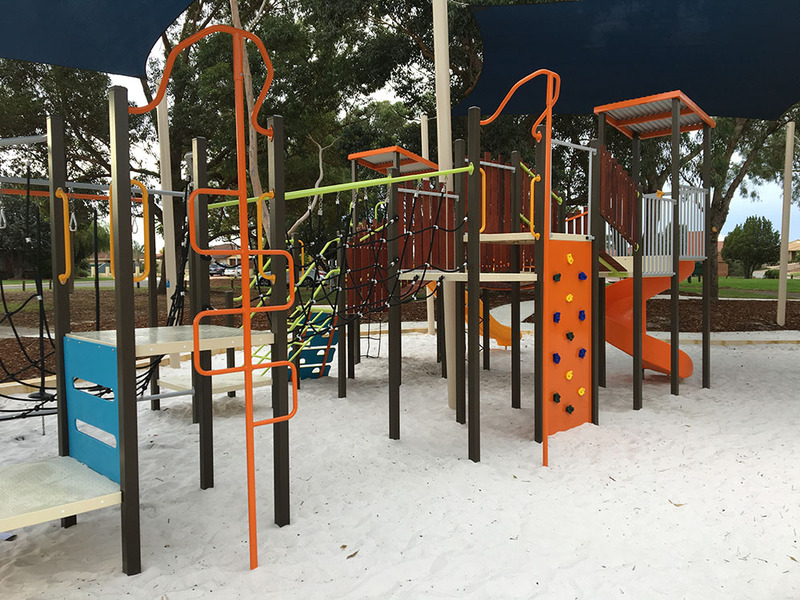 This emphasised the symbolic importance of these colours to Australia’s traditional owners and linked the playground to its natural surroundings and local inhabitants. 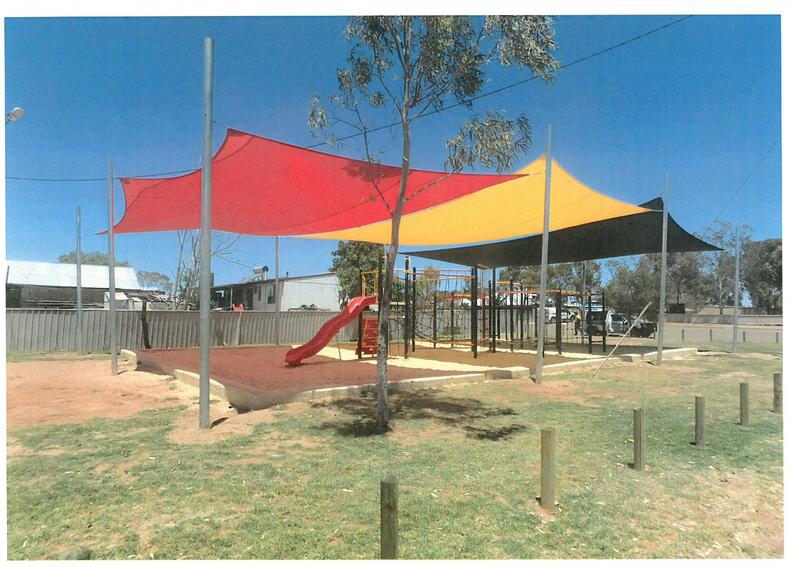 The shade sails, added later, also incorporated the same colours and highlighted the culture of the community.